Nissan has facelifted the Micra for 2013, giving it changes both inside out. The Japanese automaker has added a CVT variant to the line up as well. The Micra hasn't put the sales chart on fire as its design was a bit feminine. Nissan has addressed this issue in the facelift and the minor changes to the exteriors give it drastically improved styling. 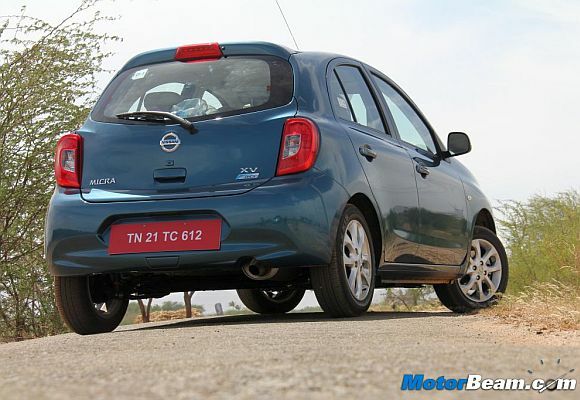 The exterior of the Nissan Micra gets a new front. The vehicle now carries new headlights, which look sharper than before along with a new grille (with a chrome bar) and a new bumper. The use of chrome on the Micra highlights the vehicle to a certain extent. On the side, the Micra remains unchanged but gets new alloy wheels (or wheel caps, depending on the variant). The rear now gets new LED tail lights along with an add-on on the rear bumper. All these changes make the Micra quite appealing and makes it look purposeful, rather than cute. Nissan has also added new colours to the Micra. The beige and green are different and a nice addition to the Micra's colour choice. The overall dimensions of the vehicle remain the same except the length, which has increased by 45 mm due to the minor increase in bumper size. The inside seems a transformation even though the dashboard is the same as before. What you get is new colours inside the cabin which make is lively. The use of light brown works quite well compared to the grey interiors of the old car. The biggest change is however the centre console, which is an all new unit. Gone is the silver console, replaced with a more modern looking unit, finished in piano black. The new centre console gets new AC vents, new audio system and is more convenient to use. Nissan has given the new Micra a slew of features including Bluetooth connectivity, reverse parking camera, 4-airbags, electrically adjustable and retracting outside rearview mirrors, steering mounted audio controls, etc. Some of these features are only standard on the top-end XV Premium Diesel variant. The company has also worked on improving the comfort of the car, which now gets re-shaped seats for improved comfort. 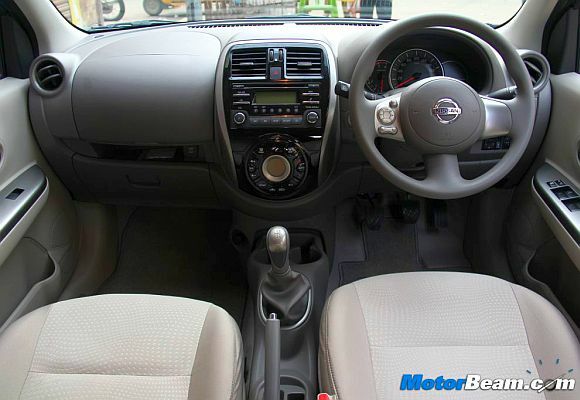 The new Micra has decent space on the inside and the highest headroom in its class. The boot capacity is 251-litres. 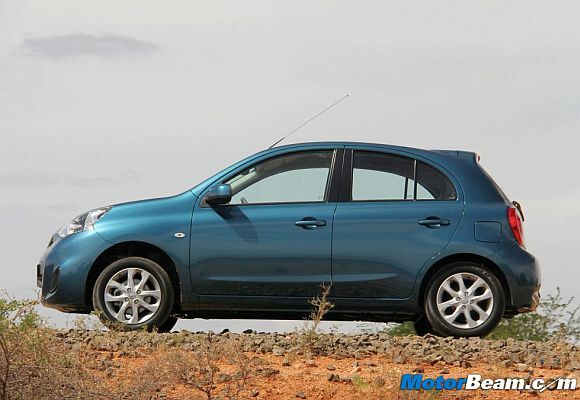 The diesel engine powering the Micra is a 1.5-litre unit, which produces 64 PS of power and 160 Nm of torque. This 4-cylinder engine offers very good performance in the city, with power delivery being linear and turbolag being minimal. The k9k unit pulls strongly at low speeds and the oil burner starts to get stressed out around the 3,500 RPM mark. This engine will return an ARAI certified mileage of 23.08 km/l. 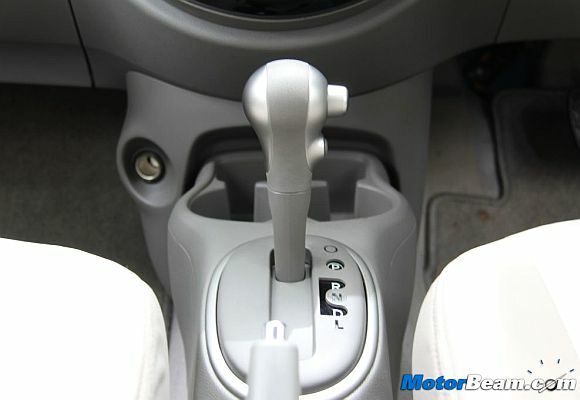 It is mated to a smooth shifting 5-speed gearbox. The petrol engine on the Nissan Micra is a 1.2-litre, 3-cylinder unit which produces 76 PS of power (77 PS in the CVT) and 104 Nm of torque. The petrol motor is mated to a 5-speed manual and CVT option which has been introduced on the facelift. While the manual version returns an ARAI mileage of 18.44 km/l, the CVT variant returns 19.34 km/l (ARAI figures). 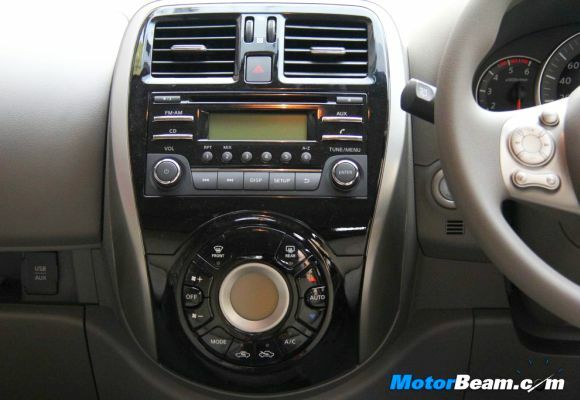 The CVT gearbox is a boon in city driving but gets a bit noisy at high RPM. The engine itself lacks grunt and doesn't move with much urgency. The petrol Micra is best restricted to city conditions as it feels out of breath on the highways. The Nissan Micra has neutral dynamics. Handling is good but the Micra is not a car you will push aggressively through corners, the steering is light and the feedback at high speeds is missing. Ride quality is a bit on the stiffer side but the diesel variant feels more compliant. The petrol on the other hand gets a bit bouncy on bad roads. Braking performance is good but pedal feel could be better. Nissan has improved NVH on the Micra and the cabin is very quiet. The vehicle remains stable at high speeds. 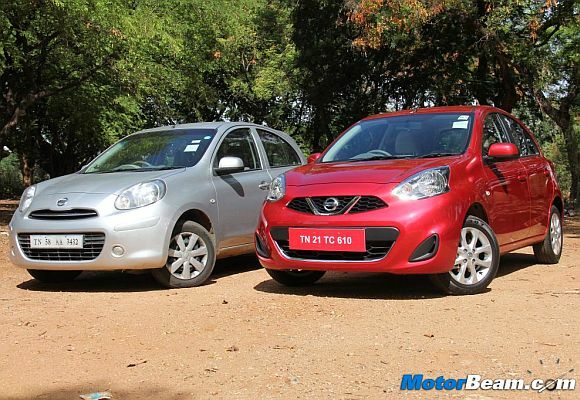 Nissan has also introduced a low cost version of the Micra, which is called the Micra Active. The Micra Active is basically the old Micra with a few changes. 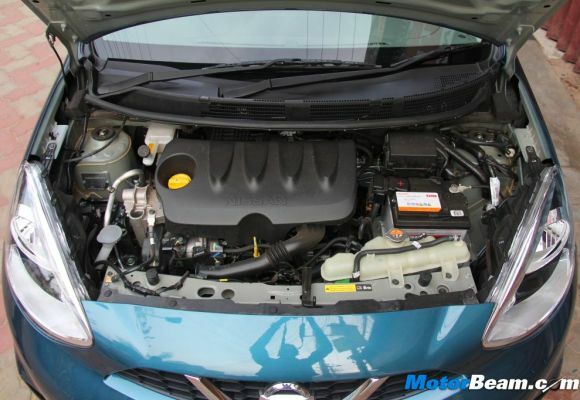 This enables Nissan to price it very aggressively and the Micra Active is offered with a petrol engine only, returning a ARAI claimed mileage of 19.49 km/l. The Micra Active is available in four variants and is priced between Rs 350,000 to Rs 471,000 (ex-showroom, Delhi). 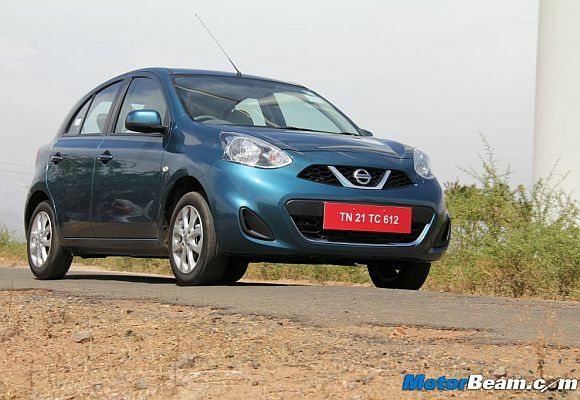 The updates to the Nissan Micra make it a very appealing package. 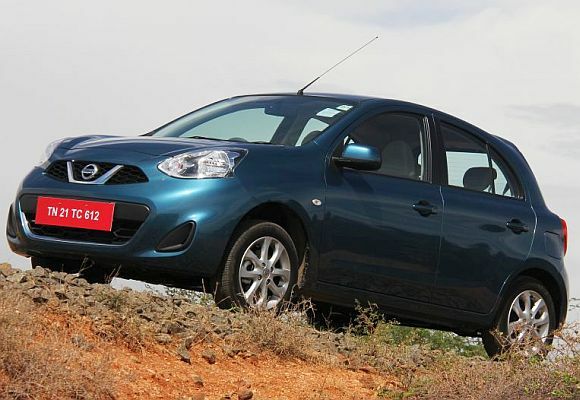 Nissan has listened to customer feedback and made the new Micra a very value for money proposition. The vehicle now looks muscular and the interiors are a better place to be in. The addition of features makes the top-end model very loaded. 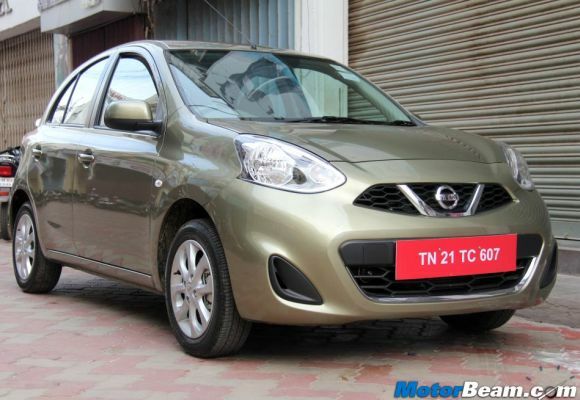 Nissan has priced the new Micra between Rs 480,000 and Rs 714,000 (ex-showroom, Delhi). This makes it a great alternative to other hatchbacks for those who travel mostly in the city.